I'm going to guess what they meant was that if the market were flooded with a ton of highly convincing repros, it would drive down the price of even the legitimate copies, because nobody would be willing to pay the current outrageous prices for what could be a "fake". I'm not sure it would actually work like that, but hey. As i view it, the statements are not as much contradictory as they are competing statements. It’s dialectics, and can be used to describe multifaceted, complex phenomena with nuances. Opposing or seemingly contradictory facts create tension, and if you study that tension you get something than if you simply take a stance and ignore/debate competing facts/statements. It’s usually useful in sociology and economics, which this subject is neighboring. tldr; it’s not either/or. it’s and. I'm really asking myself whether I should post this at the NintendoAge forum and ask them what their justification for this is. Would you advise to do this? The topic has come up on the NintendoAge forum somewhat frequently over the years, though I don't know of a specific thread link you to. Would more likely be in the collectors section than the homebrew one. I bet I could predict most of what what would happen in the thread, the justification is because somebody wanted it, there will be a wide range of views about what is fake/repro/bootleg, there will be general consensus that fakes are annoying and repros should be marked as such, someone will say everyone who collects knows F-1 Race etc. didn't come out in the US, someone will say they like to buy the fakes for their collection because they can't afford the real ones, then everyone will agree that it hardly matters since most of the fakes/bootlegs are sold on AliExpress and eBay and not the NA forum, and many people file reports to eBay on fake carts and absolutely nothing ever happens (there are many threads about this too), eBay doesn't care since they're too busy removing fake purses etc. because the market is just flooded with this kind of stuff. The point I'm kinda making is that NintendoAge isn't a monolithic entity. The only people in a position to change anything would be the owner of the site, and the people who make/sell the stuff. I just seriously doubt that further discussion will change anything. Repros can have 3 effects. If the price is going up because it is the only way to play the game, then repros will drop the price. See C:SOTN appearing on XBLA and the dip in disc price. SOTN was being inflated due to high demand for the game, once a cheaper source appeared, people used the cheaper source. Vis-a-vis they just wanted to play the game. The next problem is, if its a box, and it holds the game and it has the stickers, manual etc 100% from a factory in China, maybe not the original factory in China, is it a fake? Is a Winfield a fake Lotus 7? (probably as its a clone) Is a Caterham a fake Lotus 7? (well its a kind of a clone, but they bough the rights...) either way a "Real" Lotus 7 is worth more. We have solid fakes, decent fakes, hell you can even argue the some fakes are better, but this adds to the prestige of having "the original" and thus the fakes can push the original price higher. Anybody can buy a copy of the Mona Lisa for $5 the original is still worth a few million. The price is because you have The Mona Lisa, regardless of how many fakes there are. Then you get , fix the labels to make them look better https://www.youtube.com/watch?v=3QJChsouvTI does this improve their value, lower it, are they now a fake? I thinks RazorFists prophecy has become a reality, we are now in a speculators market. Commodore 64s are worth $10 at best, being the most common computer of all time, people have 10 of the things, but nope you want a working on ( or even working but black screen ) one, you're looking at $150 a pop, with a box $300+(https://www.ebay.com.au/itm/Commodore-6 ... fresh=true), Silver Label up and up Then you get to something like a SuperCPU 128 to which you are looking at $000s, and to be honest they are mostly useless. The rant is here https://www.youtube.com/watch?v=EigoqZoibDg WARNING HE CALLS HIMSELF RAZORFIST for a reason, if you are easily offended don't watch it. I hope you meant Acclaim and not Activison, otherwise Activision Blizzard would be coming down like the force of 1000 suns. I literally always mess up the two They represent the same thing in my mindset. I think there's basically 2 groups of retrogamers: the collectors and the gamers. The collectors will want nothing more than originals, in excellent or perfect condition. They usually don't mind paying big bucks for something. Usually it's difficult to trick a collector. Most (if not all) will study and know a lot of things by heart. The gamers are people who just want to play the games, usually recurring to emulation or any other kind of cheaper way to play. Some of the gamers like to play the games on the real console, but even this subgroup doesn't have or want to pay much money on a single game copy. A gamer don't care much if the thing is real or not, as long as he can play it and it fits on his pocket. There are, of course scumbags who get things targeted to gamers and up the price targeting to collectos, wich I think is just pure greed and lack of honestity. I don't agree with that segregation. A majority of people who are into "retro games" will fit both groups to some extent. In recent years I have seen a lot of pure "collectors" that I wouldn't classify as "gamers" in the sense that sure they still play games, but they also buy tons of games that they know they would never play, simply for the sake of "completion". But while those people of course have always existed, I have never seen them as commonly as they have started popping up over the past five or so years. The pure "gamer" of course has always been around. They want to play the game, but they don't necessarily want to pay the price, and they definitely don't care if their game is legit. This is why video game piracy has been a part of the games industry since its infancy. Not having any kind of moral code in this context is of course a much more complex subject - ie. you can easily argue that buying used SNES games on eBay doesn't support the copyright holders any more than pirating the games, etc. but the gist of it is that buying the games legit comes down to a lot more than both legal terms and collector mentality. Most people that I know who's into this stuff will go out of their way and buy rare and expensive games just to play them. They will pay top dollar for a boxed copy of Earthbound, even though they could spend a couple of bucks on the Wii U Virtual Console. That's a collector mentality for sure, but the reason they buy the game is that they really care about the game, not about the collection aspect of owning it. Some people wouldn't ever pay for getting boxed copies, while others refuse to buy games without it. Personally I have an upper treshold depending on the cost and how much I care for the game in question. There's a collection aspect to it, that cannot be denied, but it's entirely my gamer approach that motivates me. And at the heart of it all, where do you place people who buy nicely produced bootlegs like these "repros"? They want to play the game, but don't want to pay the full price, so are they just "gamers" and not "collectors"? In that case, why do they want a nicely produced box and cartridge in the first place? Couldn't they just load up the game on their everdrives? Armuana No Kiseki is a super weird example, as I'm sure these super nice looking bootlegs are most likely selling for a lot more than the FDS disk would cost you. I bought the (original) game just last year, and it didn't cost me much. The only logical conclusion here is that the target audience is collectors who don't necessarily care about authenticity. Personally I don't really care. If I were to buy some game I really wanted to get original, I would seek up a legitimate source. I also know how to tell a fake from an original. For some things I really want a nice "original looking" box, even if one were never produced. I have some for my MVS games for example. These of course never existed to begin with, but they sure look original. People in the retro video game scene seem to be extra upset about this. Fakes are in every collector scene, have always been, will always be. Get used to it, learn how to tell fakes from real ones if you care. Unfortunately, fakes do get harder and harder to tell from legitimate copies. I thought I was able to see it easily until I recently saw people sharing PCB pictures of fake Stadium Events and Magical Pop'n which I never would have guessed were fake. It's only a matter of time before they iron out the couple of kinks that still do give away those two examples, such as the labeling of mask ROM chips. Of course, that's a different issue of people actually trying to pass off fakes as original. 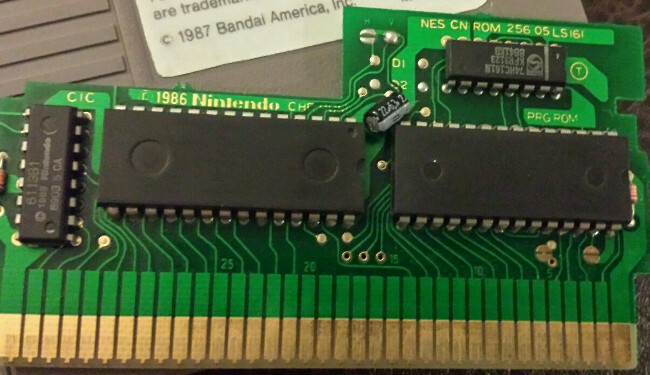 I bet if you opened up the carts in the OP here, the PCBs would look nothing like an original Nintendo PCB. Most people that I know who's into this stuff will go out of their way and buy rare and expensive games just to play them. They will pay top dollar for a boxed copy of Earthbound, even though they could spend a couple of bucks on the Wii U Virtual Console. But will they pay top dollar for a Wii U itself to play EarthBound and EarthBound Beginnings? Couldn't they just load up the game on their everdrives? Provided its mapper is supported and the ROM is small enough. For some things I really want a nice "original looking" box, even if one were never produced. I have some for my MVS games for example. These of course never existed to begin with, but they sure look original. 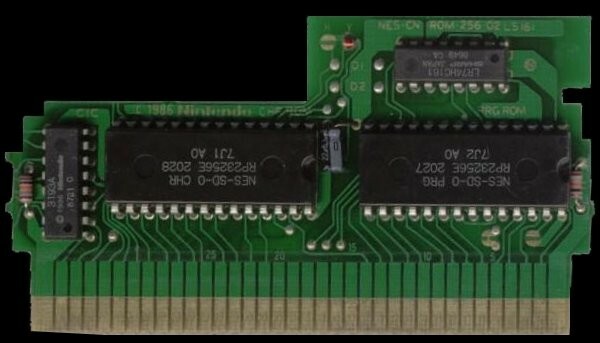 Would it be worth it to design BitBox inserts for NES homebrew games using VGBoxArt's template? Of course, that's a different issue of people actually trying to pass off fakes as original. I think that's the core of the disagreement here. Instead of the Nintendo Seal, there needs to be a disclosure that this is a repro. Otherwise, it smacks of passing off. It was a hypothetical example. Pretend that they do. It was a hypothetical example. Pretend that it is. I think there's a big difference between making something that looks original, and something a dishonest person is actually trying to disguise as an original. I really dislike both, but only the latter is a serious issue for collectors of legit games. It wouldn't work. It would increase the prices for original products even more because they would be even more special. Having one original game against 100 cheap bootlegs means you can say your product is genuine. But having one original game against 100 high quality bootlegs means you can emphasize that your product is really the original genuine one, giving you more reason to increase the price because finding a real one among many high quality copies is harder than finding a real one among many cheap copies. For some things I really want a nice "original looking" box, even if one were never produced. But why do you want a box that lies to you? Why does a collector want to play make-believe instead of having every product in his collection represent what it really is? "These are my genuine US versions of the "Super Mario Bros." trilogy. This is my Famicom version of "Over Horizon". And here I have a rare high quality reproduction of "Miracle of Almana" which was created by NintendoAge. It looks like the game would have looked if it had actually come out as an NES cartridge, but since it's a reproduction, the NintendoAge logo is displayed on it. The NintendoAge logo is proof that I didn't order this from some cheap manufacturer, but that this reproduction was a passion project and part of a specific limited run." What's this whole crap about playing make-believe? If you want a high quality box and a manual, fine. But why do you want to pretend that this was a licensed release when it's really a reproduction. Aren't unlicensed games, reproductions, homebrews and hacks part of your collection anyway, so not every game looks genuine in the first place? You wouldn't want to pretend this with actual unlicensed games from the 80s and 90s, would you? If you buy an "Action 52" cartridge, I bet you wouldn't want a Nintendo Seal of Quality on it. You would want the real box and that strange cartridge that looks different from regular cartridges because it really was unlicensed and you want the real deal. So, why does your "F-1 Race" box have to pretend to come from an alternate reality where Nintendo actually released this game in the US instead of putting it into your collection as part of a specific reproduction line? Having a high quality reproduction made by passionate fans has worth in its own right and I would want the fans who created this to put their label on it. But why does this specific piece of collectable have to pretend to be made by Nintendo while you don't want a "Battle Kid" cartridge that masks itself as a licensed release? Because they look nice. I have fake art on my wall because I like the look of them. I have fake boxes on my shelf because I like the look of them. MVS carts are pretty ugly by themselves. I don't agree with that segregation. Basically I was not trying to segregate people, I was trying to classify their behaviour into 2 distinct (but not totally closed) groups. There's no hard line telling who is from wich group, and most of the time we'll have people acting as one group or another according to the game in question. More or less how much success the game had and/or how passionated the people have became for that specific game. As an example I have a friend who always bought pirate stuff, but them he fell in love with the Diablo series and bought only originals from that series. Of course, this is my tiny point of view, and probably is a little (if not very or totally!) mistaken. Looks like the one thing we agree is that people with bad ethics and big greed are who takes the fun out of the party. I didn't ask why you put a box of the game on your shelf, but why the box needs to have a label that tells a lie about its origin. So, the same box without the Seal of Quality, but with a NintendoAge logo would not look nice, or what? Also, the art comparison is not really equivalent here. Do you have a print of a picture of some random artist and the picture is signed with "Leonardo DaVinci"?